Geocaching is an outdoor activity in which people use a GPS device to hide and seek containers, called “geocaches” or “caches”, anywhere and everywhere in the world. 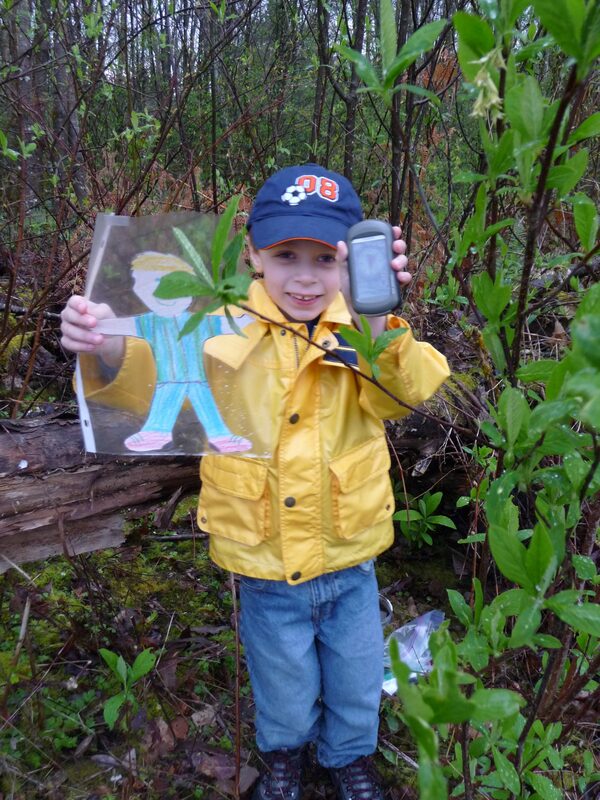 James found his first geocache in 2004. There are log books within the caches to where you can write a message or just log your user name, saying “I was here.” Some caches are even virtual. There is also an online site to log your finds. It was a fun “game” that got us out exploring different places where we wouldn’t otherwise visit. AJ was a baby back then, so I’d stay at home while James would go out traipsing in the Arizona desert, mostly to come home with cholla cactus needles stuck in his socks. Thinking back, I have to laugh because it amazes me that he would venture to some of the places he did and put his hands in “holes” where no one would otherwise dare put their hands (because you just don’t put your hands in unknown holes in Arizona). 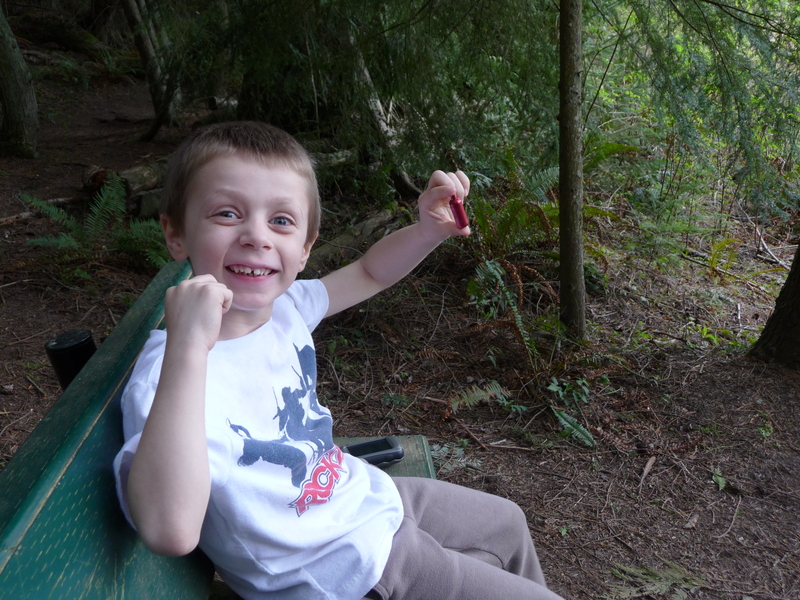 Lots of caches also contain little treasures and toys, so it was usually rewarding for AJ to find one. Fast forward to today and we now have the Pokemon Go phenomenon, not too dissimilar to geocaching, albeit totally different. I say brilliant. Okay, not so brilliant when someone is crashing their car into a tree or falling off a cliff due to extreme lack of intelligence (can’t blame an app for stupidity), but still, what a fun family activity when played responsibly! My name is Paula. I run half-marathons. And I, too, hunt Pokemon. 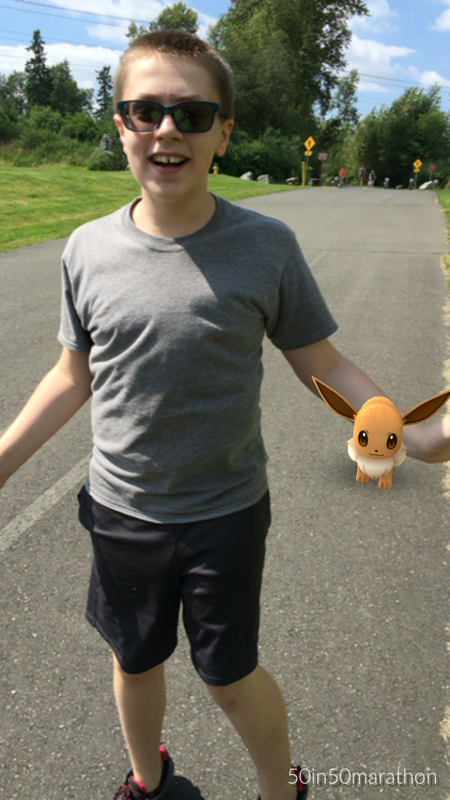 This entry was posted in Games, Life in general and tagged family, flat stanley, fun, games, geocache, geocaching, GPS, Pacific Northwest, pokemon, pokemon go, running, Travel on July 19, 2016 by Paula. 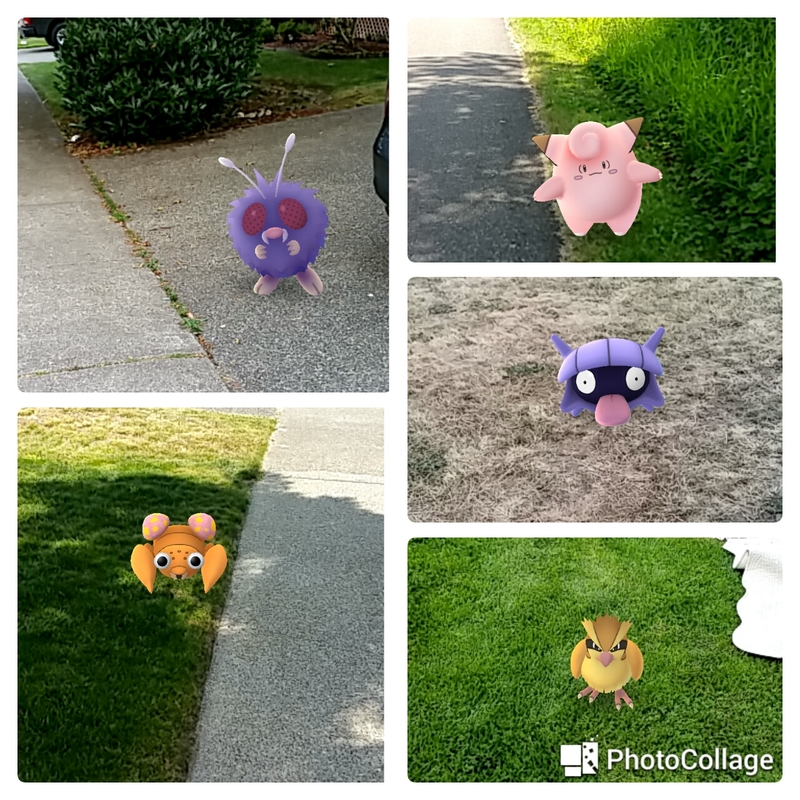 what a fabulous recap, i love those pics of taking AJ out for his first geocaches…we’ll have to do that again one day, and the pokemon’s are a ton of fun too, if nothing else i get free-reign to make up loads of silly names! Ingress is the game that came before Pokemon, made by Niantic. In Ingress for a long time you could create “portals” by submitting your own photos and naming the spot. When creating Pokemon, they just used those portals and they became Pokestops! So I am not talking figuratively, but I may sound completely nuts. If you think I sound too nuts, ask AJ what I mean rofl! Ingress is quite interesting as it has the community aspect Pokemon still lacks. Nothing over defending your territory because an evil enemy player has been up all night and messed with your portals. It’s not as bad on the battery and you can run it in the background. I really have to stop wordpressing during working hours lol! I’ve always thought geocaching sounded like great fun but Mr. Judy was never interested — odd, as he did scavenger hunts in college that he loved. The whole Pokemon Go thing eludes me though. Yeah, I’ve never played a video game . . .
Lol! I’m so staying away from thecpokemon thing! I was wondering what geocaching was b/c someone brought it up on twitter after I posted something about Pokemon Go (which seems to have fizzled recently??). My son and I literally drove around a neighborhood looking for these stupid pokemon. Ok we will have to consider it! Thank you!! I haven’t played myself as it hit here when Raiden was only a day old but I think it’s a fantastic idea, getting people out and about and socializing.